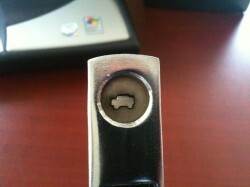 Our car-shaped hole punch is the most popular punch sold. Heavy duty enough to punch through paper, cardboard or plastic. Comfortable foam grips.